Something Wonderful is a glorious, two act celebration of the life and work of Richard Rodgers. Mark co-stars with KT Sullivan, Heather Mac Rae and Craig Rubano. Heather starred on Broadway in the original productions of the landmark musicals Falsettos and Hair. She also brings a special connection to the music of Richard Rodgers in that her father, Gordon Mac Rae, starred in the motion pictures of Oklahoma and Carousel. She talks about the making of these films in the show. Craig starred on Broadway in Les Misérables for over two years playing Marius. 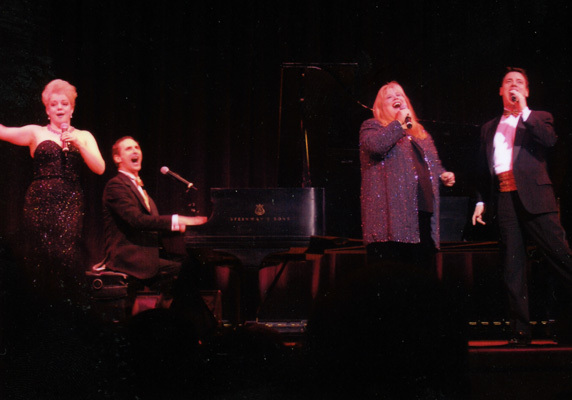 This show features exquisite arrangements by Mark of everything from "My Funny Valentine" to "Johnny One Note" to "Blue Moon" to "If I Loved you". "Something Wonderful" is full of fun and surprises -- wait till you see what Mark does with "Shall We Dance"! This show is available in a one-act version for symphony orchestras.